On its original 1999 release, The Iron Giant flopped. Tarzan and Toy Story 2 were very much the animated movies of the moment and had far better merchandising and marketing campaigns. As a result, The Iron Giant went largely unnoticed, even though critical response was outstanding. However, I was fortunate enough to catch it during the original run. My expectations were low, but I left the cinema elated. Every subsequent viewing has underlined that original verdict. Based very loosely on the Ted Hughes novel The Iron Man, the story is set in 1957 at the height of the Cold War. A gigantic robot crashes in Maine and suffers amnesia, unable to recall who he is or why he is on Earth. He subsequently encounters lonely boy Hogarth, who is of course initially terrified. However, in the manner of Elliot from E.T. The Extra-Terrestrial (which this film often echoes), Hogarth tracks down the giant and makes contact, thus beginning a great friendship. But when eye witness reports of the giant reach the government, they send national security investigator Kent Mansley, who rapidly concludes the giant could be Russian and wants to shoot first and ask questions later. Director Brad Bird, who would later go on to direct The Incredibles and Ratatouille for Pixar, as well get into the live action game with Mission Impossible: Ghost Protocol and Tomorrowland: A World Beyond, has never, in my view, topped this early gem. The superb 2D hand-drawn animation makes tremendous use of the widescreen format, for example in the giant’s menacing first appearance behind Hogarth in the top right-hand corner of the frame. Comparison with Spielberg is not unjustified. The vocal cast, which includes Vin Diesel as the giant and Jennifer Aniston as Hogarth’s widowed mother, all do exceptionally well. In addition, the late Michael Kamen contributes a stirring music score (probably his best) that enhances the laughter, thrills, and tears that ensue as the plot moves towards an inevitable, tragic climax. Along the way, there is much fun to be had. 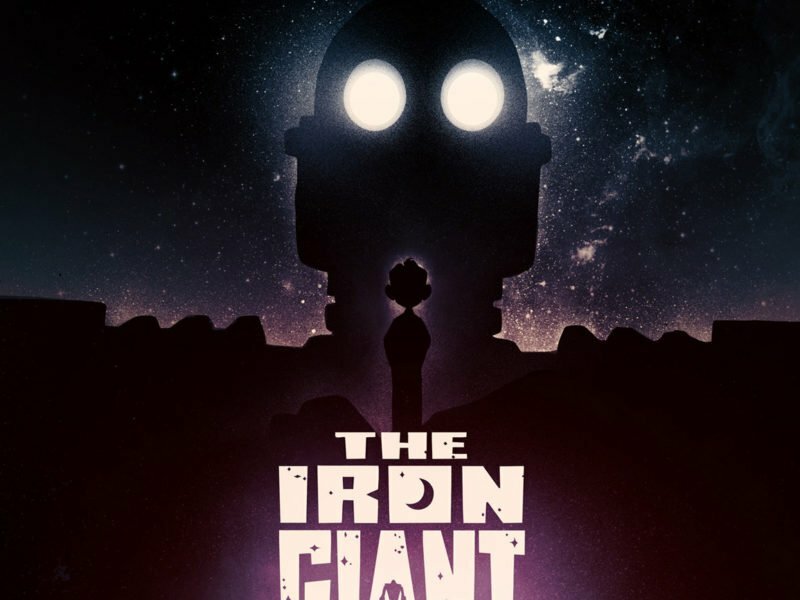 The Iron Giant is a quietly subversive offering, especially in the way it gently pokes fun at 1950s sci-fi B-movies (“Darn, a perfectly good brain wasted!”), McCarthyism, and Cold War propaganda films. More importantly, the film contains an unfashionable and deeply committed pacifist message. When the giant is attacked by US troops, it reacts defensively, at one point turning itself into a War of the Worlds-type killing machine. Consequently, despite the fact that this is a tremendously heroic adventure story, it is also, crucially, a film that for once does not invite children to cheer at violence. Another unconventional element in the story is that Hogarth is the teacher/mentor figure, not any adult or even the giant. He explains to the giant about morality, life, death and the ability to choose good over evil (especially poignant in scenes where the giant decides he wants to emulate Superman). The heart of The Iron Giant is all about that choice. It explores both the potential for great good and great evil within humanity. Despite initial terror at discovering a huge alien robot inside the forest, Hogarth conquers his fear and saves the giant from electrocution, thus initiating their friendship. By contrast, Kent Manley’s continual tirades of cowardice and fear-mongering are corrosive, paranoid and delusional to the point that he is prepared to recklessly order a nuclear strike on the giant, despite the fact that by that point the military has seen the giant is defensive only, reacting only when they fire on it. Ultimately, a tear-jerking, Christ-like element of sacrifice is introduced into the story, and for a family film, The Iron Giant could hardly grapple with weightier issues. In summary, this is one case where the cliché recommendation of “great film for all the family” really does apply, as it is one of the very best and most underrated films for people of all ages. This article was written by Simon Dillon, author of several books, passionate film reviewer and Head of Network Planning at GOD TV. See more of his movie reviews at Simon Dillon Books.